Since opening in 2005, Ed Madronich has injected fun and enthusiasm into both the wine and the winery experience. The five-level gravity-fed winery sits atop the escarpment with an incredible 360* view of 80 scenic acres of vineyards and Lake Ontario. 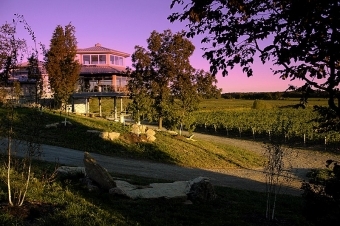 Award-winning Chardonnay and Pinot Noir, made by Jay Johnston, are the winery's focus but the Rieslings are consistently recognized among Canada's best.